This is a quick video of my Octane Fitness Zero Runner, ZR8. It is a zero impact cardio equipment for running. See more below! 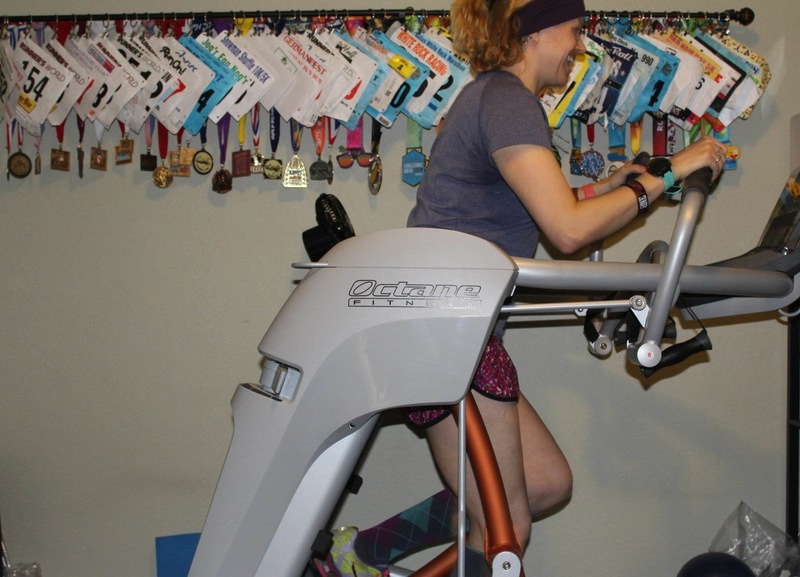 The Octane Fitness Zero Runner is an impressive piece of cardio equipment! 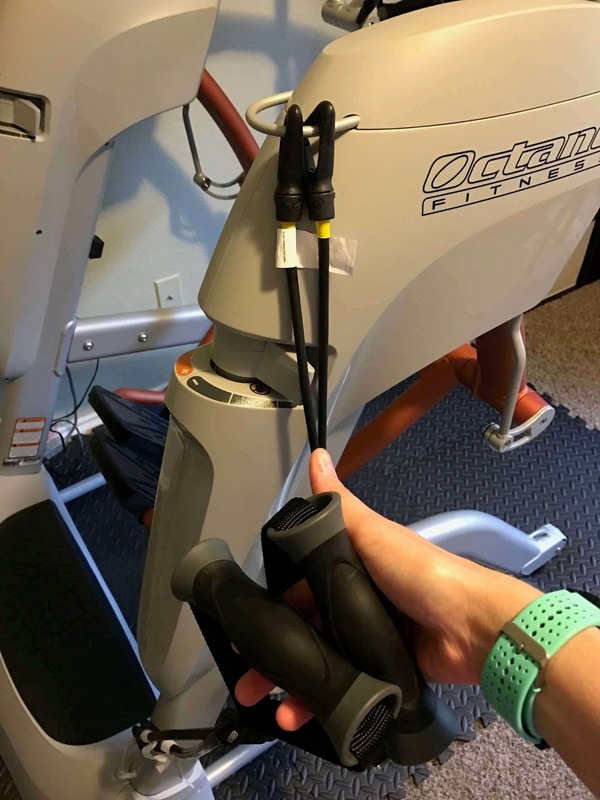 It's unlike any other cardio equipment that I've ever used! It allows you to run in a natural running motion while providing a no impact workout! It gives the sensation of gliding through your run. A unique component about the Zero Runner is that it has knee type joints to mimic the natural running motion. Unlike an elliptical machine that moves the foot pieces in a an elliptical motion, the Zero Runner allows for a natural running motion. It is very smooth as you transition through the entire motion. 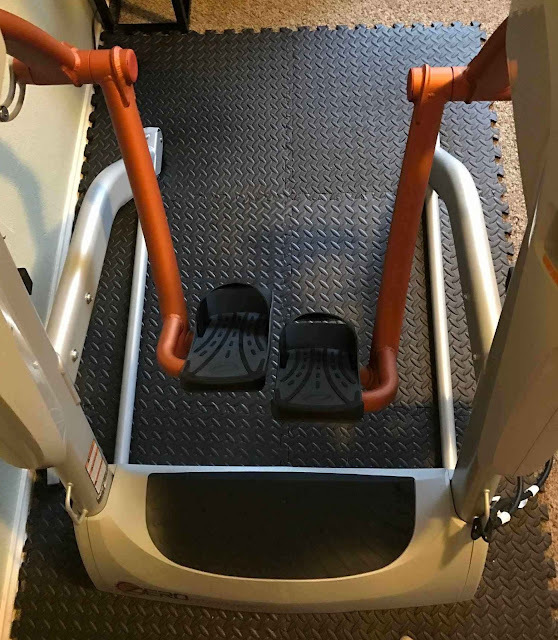 There is no catching motion as you step, like found on some ellipticals. You can lengthen or shorten your stride based on what feels the most natural to you. There are 2 adjustments on the back to increase or decrease the resistance while running. That adjustment allows for a wide range of runners to be accommodated for the difficulty of the run. A huge benefit of the Zero Runner is the removal of impact. If you are like me, you may pound the pavement and treadmill for years but frequently are battling injuries due to the wear and tear on the body. Maybe you're also like me that you have old sports injuries and have developed early arthritis in a few joints. The Zero Runner allows you to even run fast without the pain or risk of injuries to joints. For the first time in a few years, I was able to drop 4 minutes per mile off my time. I could actually run at my 5k PR of 18 minutes set when I was 20 years old! And the great part is afterwards, I didn't experience joint pain and swelling. I've had the Octane Fitness Fitness Zero Runner ZR8 for a month and use it 4-5 times a week to supplement either outdoor or treadmill miles. You can do a variety of workouts on it. 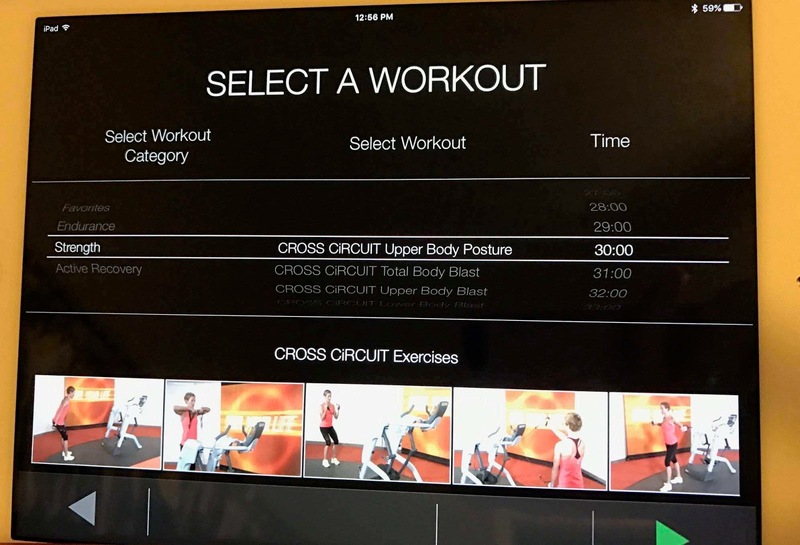 The phone or iPad app allows you to either jump on & go or to select a workout. One of the workout options is a circuit which uses the resistance bands from Octane Fitness. They clip onto the Zero Runner on the front or back. The circuit workout allows you to select your overall workout time & the duration for the running portion and the resistance bands portion. The app records all of your workout metrics (distance, speed, calories, etc). It's very easy to use & you are working out in no time! You may be wondering about how much space is needed. The footprint is roughly 6 feet by 4 feet. It is very quiet but I added workout mat flooring to soften the sound as well. There are 2 cup holders and a place to hold the iPad or phone. Octane Fitness has 3 models of the Zero Runner. My model is the ZR8 and is the middle model. I selected this model for the durability since a few people will be using it. I have no complaints about it and am 100% impressed with the Zero Runner! It is the best piece of exercise equipment I have ever used! Here is the Octane Fitness website. 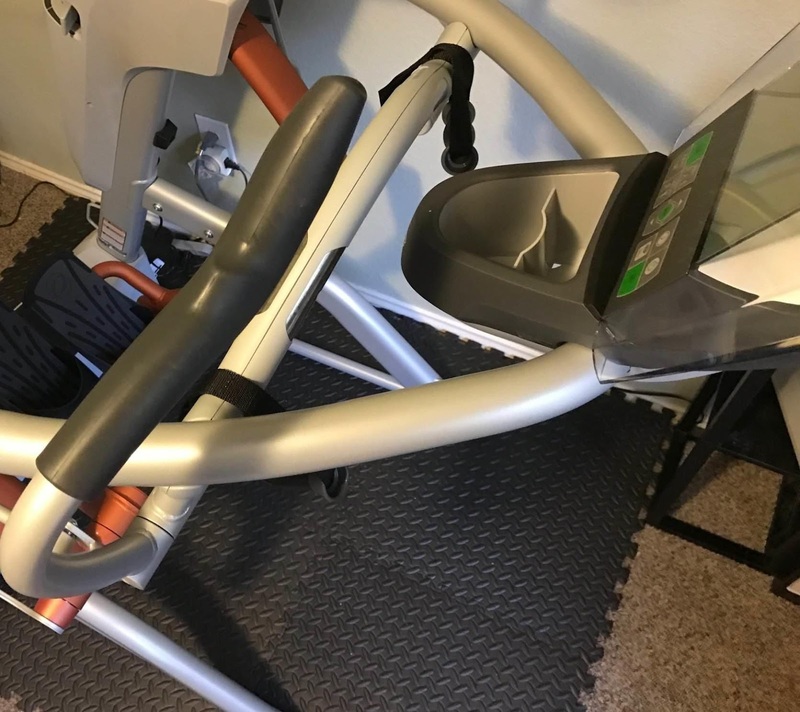 I purchased the Zero Runner on my own and did not receive any discount or incentive to purchase or review it. All opinions expressed are my own and from my own experiences. I receive no compensation for providing a link to the Octane Fitness site. Socks are Sockwell compression socks. Now that you have had the zero runner for a couple of months are you still using it as much as you did when you first got it? Would you purchase again? Yes, I use it a lot and would buy it again! Saves my joints from pounding the pavement so much! I highly recommend trying any of the Octane Fitness Zero Runner models! 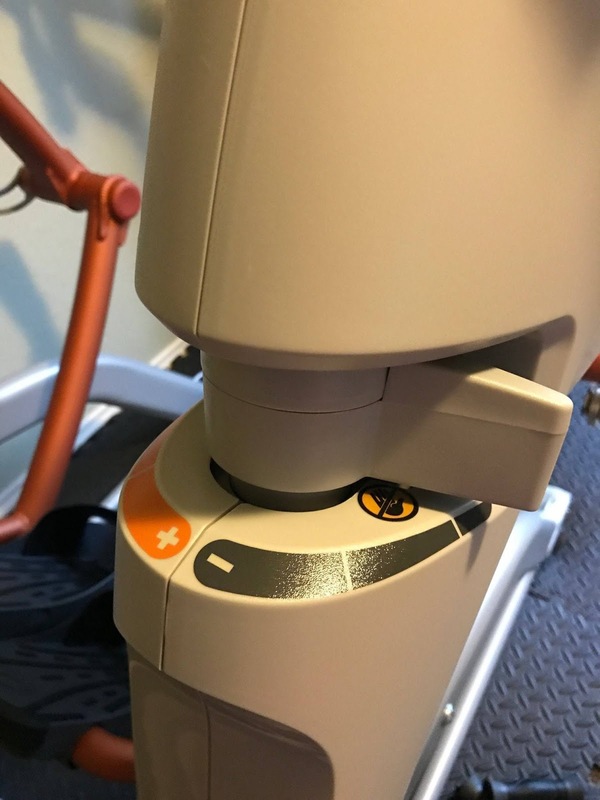 I am wondering if the machine has held up as expected over the past 18 months or if you have had any durability issues? Tony, hi, the Octane Fitness Zero Runner (ZR8 model) has been fantastic! It has not had any issues with almost daily use. I am still thrilled with the quality of workouts it provides & its durability. Thank you for taking time to read my blog!